The city is borrowing $18.11 million to cover retirement payouts for employees, sewer improvements, and a fence to secure the ruins of the Allied Textile Printing (ATP) site. $12.61 million of the borrowed funds will go towards making improvements to the city’s combined sewer system which releases raw sewage into the Passaic River when there’s a major storm. Municipal official said the city entered into a consent agreement with the U.S. Environmental Protection Agency (EPA) to take steps to prevent the pollution of the Passaic River. “What sewers are being replaced?” asked councilman Michael Jackson when the measure was presented for a final vote last week. He said the council did not receive specifics about the sewer improvement projects. Council president Ruby Cotton reminded Jackson of a closed session meeting where the sewer issue was discussed. Jackson opposed all three bond measures for sewer improvements. His colleagues disagreed with him and voted in favor of borrowing the funds. The council also approved a $5 million borrowing measure to make severance payments to mostly retiring police and fire employees. 50 employees are expected to retire, according to finance director Marge Cherone. Not all of them will retire this fiscal year and not all are confirmed retirements. “Why bond for the whole $5 million when we don’t need it?” asked Kenneth Morris, councilman at-large, chairman of the finance committee. He suggested those that are not retiring within this fiscal year should be pushed forward to next year’s budget. Administration officials said an employee is able to submit papers and retire in 30 days. Cherone also said there are employees, who have retired, and are waiting for their payments. The payments are for accumulated leave time. When a council member asked how many employees will be retiring next fiscal year, Cherone said 60 will be eligible. “60 people. That’s a lot of people,” remarked Cotton. The city may have to payout a similar amount next year, said officials. With a tight budget, the city may end up borrowing the amount next year as well. “What can we do to avoid this?” asked councilman Alex Mendez. Cherone said the city is attempting to negotiate with the employees individually to pay them in installments rather than in lump sum. This will spread the cost through several years and the city may not have to borrow the money to make the payments. The council also approved $500,000 borrowing measure to fence and secure the ATP site. The federal government has sent a letter urging the city to secure the site. “We’re going to spend $500,000 on a fence. It’s a poor spending habit,” remarked Jackson. He opposed the borrowing, but was out voted by his colleagues. 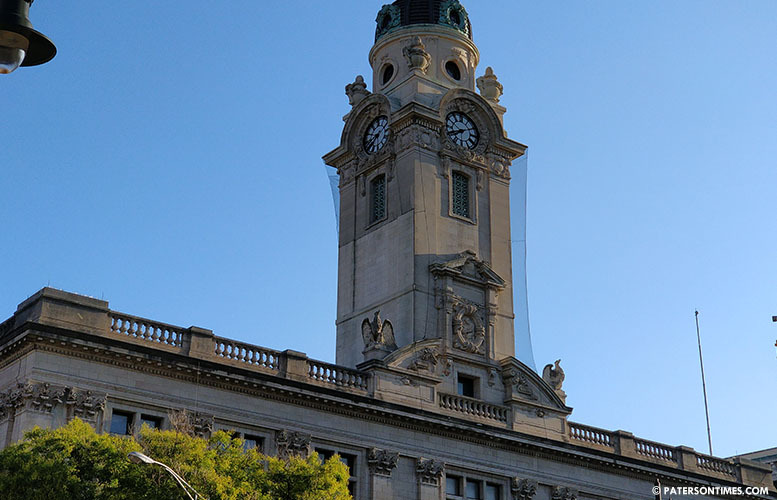 Council members voted down the $3.66 million borrowing measure for air conditioning systems at the police headquarters and the Paterson Museum. This latest series of borrowings significantly cuts the city’s debt capacity. Morris has warned about the erosion of the city’s debt capacity for months. The capacity went from $99.71 to $79.35 million (this includes the rejected borrowing measure). The city has $143 million in outstanding debt. Former mayor Jose “Joey” Torres put the city heavily in debt with his $38 million road resurfacing project. The council approved Torres’ many borrowing measures that led to the erosion of the debt capacity.